It would be an understatement to say that BTS has had an amazing few years. The K-pop boyband—made up of RM, Jin, SUGA, j-hope, Jimin, V and Jung Kook—became an international phenomenon just months ago (after establishing a fab fan base at home in Korea) and has been steadily rising across the globe ever since. Their latest album, Love Yourself: Tear, debuted at no. 1 on the Billboard 200 albums chart (NBD!). They were the first ever K-pop group to perform at the American Music Awards. And they even took home the trophy for Best Boy Band at last year's iHeartRadio Music Awards. The only way to celebrate such massive success? 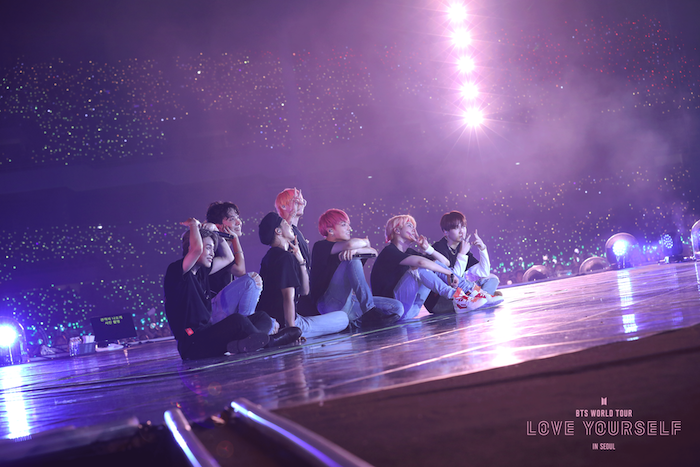 By making a concert film, ofc—and that's exactly what BTS has done with BTS World Tour: Love Yourself in Seoul. On Saturday, Jan. 26, fans (hi, that's you!) 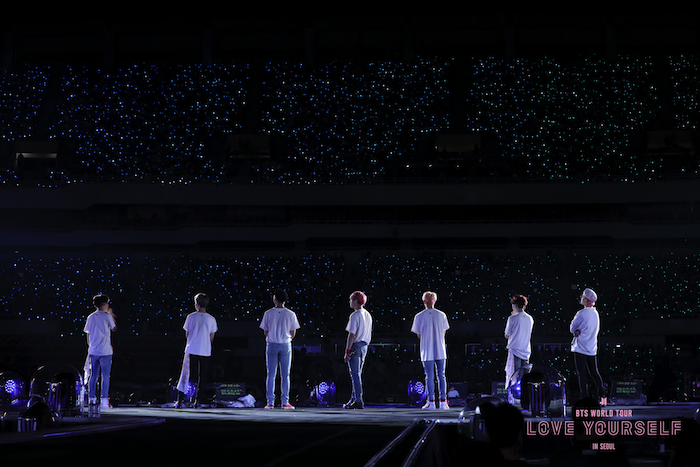 are invited to see the band's full "Love Yourself" concert film, presented by Pathé Live and Fathom Events and filmed at the Olympic Stadium in Seoul, South Korea during a sold-out show. 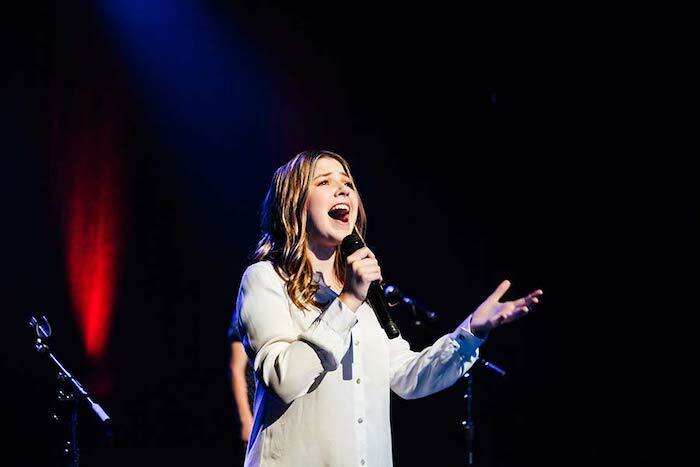 It was literally the most sought-after concert of 2018, and *you're* getting an exclusive in to this epic experience in a movie theater near you! Not only does the concert film give you an intimate look at the tour's set list (which obv includes bangers like "Fake Love" and "DNA"), but you'll also get a peek at the energy of BTS and the members’ dedication to their artistry and fans, aka the BTS Army. Check out the film's trailer below! The film will be shown at 11 a.m., 2 p.m. and 5 p.m. (local time) at select movie theaters across the country. The best part? At participating ScreenX theaters (which give the viewer a 270-degree experience), the film will be available for two weeks. Yes, you read that right! To find your closest theater, just click here and type in your zip code. To get tickets to BTS World Tour: Love Yourself in Seoul, you can visit fathomevents.com, loveyourselfinseoul.film or a participating theater's box office. What's your favorite BTS song? 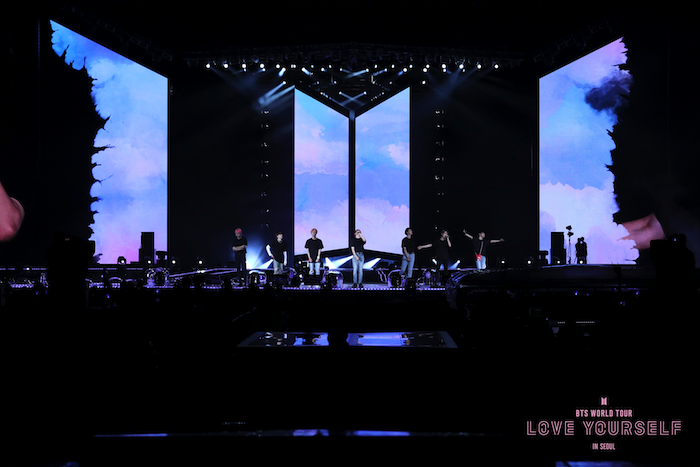 Are you excited to see the BTS World Tour: Love Yourself in Seoul concert film? Share your thoughts in the comments!